These Four Signposts are warnings to God’s Church. By watching these Signposts, we may know – as our world goes through each week, month, and year – what season of God’s plan we are in during these end times prior to the Tribulation. These news events will be truly terrible due to their causing economic and mental anguish among the populations of the world due to the cutoff of oil. Islam may be seen as gaining the upper hand and western civilization as being on the decline. But these events, instead of being continual bad news, can be seen instead as fulfillment of detailed and absolute prophecy that must be fulfilled in order for God’s promises to come to fruition. Those of us who are His must prepare. Those on the fence in the churches will have their last chance to repent and follow Christ wholeheartedly. The unbelievers can be witnessed to and shown that the Bible is the living and breathing word of God and is telling all of us what is playing out right before our eyes. Can you please elaborate and expand on the Anti-Christ being depicted in Scripture as the “Little Horn”? Why little? Is this a posslble hint that he will come on the seen as an unlikely candidate: appearing small, unassuming, soft spoken, insignificant, etc? Both Daniel 7:8 and 8:9 describe the Antichrist as the “little horn.” Yes, this would mean that the man who is to be the Antichrist is not recognized as such right away. Daniel 8:9 says his power grows, starting small, but reaches to the host of the heavens in the end. I touch on this briefly in pp. 217-218 of the book. I believe the Antichrist is described as a small horn because in these visions horns represent power, and the Antichrist’s power is small at first. He will arise in the politics of the Turkish-Syrian nation that will exist at the time. We won’t know who it is until he is conquering two other nations. As far as his persona goes, the Bible says he will be stern-faced. Again I believe the smallness of the horns at the beginning of his actions to simply reflect that his power is limited at the start. I also don’t think your recapitulation of the four beasts of Dan 7 is warranted – they are the same as Daniel 2’s Babylonian, Medo-Persian, Greco-Roman and Islamic kingdoms. The seven year tribulation is a misunderstanding and misinterpretation of the Messianic prophecy in the entire Chapter of Daniel 9, which is inter-entangled with another misunderstanding of the “Abomination of Desolation”, which began with Israel’s rejection (for the most part) of its Messiah and the New Covenant. If you’re interested, you can read my thoughts on that here: https://prophesite.wordpress.com/2012/04/03/the-abomination-of-desolation-scripturally-speaking-part-1/ This post is particularly interesting because its really no more than a correlation of scriptural passages by the language used. And no, I’m not a Preterist, but a Pre-Millennialist in good standing! I probably won’t read your book, but reading between the lines, it seems you believe in a Pre-trib rapture (I could be wrong about your view); another completely unbiblical belief. On the other hand, you do have correct that Islam has everything to do with the Beast and Antichrist. Thanks for your comment. Agreeing that the Antichrist is to be Muslim is a good thing. Underlying this entire book’s message is the interpretation of prophecy that the Antichrist is a Muslim and that his empire is Islam. This allows other Bible prophecies to open up as my book shows. You know that just shifting views from Rome to Islam is a big deal, and there is much momentum in the church to stay with Rome. But the Islamic Antichrist theory requires us to re-examine Bible prophecy because it starts a whole new paradigm that people just aren’t expecting. Before getting into each major point of your comment, I would like to know just out of curiosity what gave you the impression that I believe in a Pre-Trib Rapture. I have been careful to avoid that whole argument. My book’s message is solely about the prophesied and ongoing fulfillment events leading up to the Tribulation (that is if the Rapture is mid- or post-) or the Rapture if it is pre-Trib. If the book’s message is true, pre-Trib folk would be looking for the Rapture to occur at the end of the Fourth Signpost. I do specifically say in Chapter 4 that I am not taking a Rapture position. The purpose of my book is to let people see the season’s of Christ’s coming that were heretofore unseen – hence the book’s title. I am afraid a Rapture discussion would cloud this. 1) You say Daniel 8 was fulfilled by Antiochus Epiphanes. I believed this too until I did this research. In fact, everyone says what you say here – but I believe now that this is incorrect. Tell me, how do you explain Daniel 8:17 and 19? Both verses tell us that Daniel 8 has an end time fulfillment. These two verses have been swept under the rug by theologians today because this chapter makes no sense (does not seem to have fulfillment) in a Roman Antichrist like most people. Thr only significant thing that could fulfill this vision is Antiochus. But this 1800-year-old notion of an Antiochus fulfillment was started by Hippolytus. Remember this brother didn’t ignore those two verses because he thought the end times were 250 years away and that Rome would still be there. He never saw Islam. Also, prophecy is to be unsealed in the end times – not 1800 years ago. When you add the correct interpretation for those two verses, with a Muslim Antichrist, Daniel chapter 8 outlines events still to come – however the very first event of that vision is actually in the process of happening right now (see the “Possible Prediction” post). 2) Regarding the foru beasts of Daniel 7 we have a similar situation to that of Daniel 8. Daniel 7:12-13 shows that the beasts are contemporaries to each other and to the returning Christ. This is end time stuff here. Again, I used to believe the same way you do, on this. The nagel later in the vision says that these beasts are kings and kingdoms. But they are end-time era – end time versions of the realms in the Daniel 2 statue. And the events of Daniel 7 line up with the events of Daniel 8 quite nicely. This leads us to…. 3) This new interpretation of the four horsemen took me by surprise. Daniel 7 and 8 were all lined up to form four sets of events. Then I noticed some curiosities about the horsemen. But first, I read your linked post about the horsemen, and noticed you put a lot of your argument on Revelation’s phrase “must soon take place,” as if it were next century for John. The way I have always looked at this section is that the whole church age is “soon.” And Jesus said he is “coming soon.” Remember one thousand years is as a day and vice versa (Ps 90:4, 2 Pt 3:8). So it could have been a century or a couple millennia; the Bible is not clear on dates as you know. But with that said, as I found, the four horsemen also line up with the four events in Daniel. Two clues told me the horsemen were relevant – the fact that they were given authority over a quarter of the earth, and that their colors are white, red, black and green. These are very relevant. 4) Regarding your fourth point I will mostly bypass it here because it concenrs events other than those that I am writing about in the book. However, I will say that I disagree with you simply because the Matthew and Mark passages concenr the end times “such as has not occurred since the beginning of the world until now, nor ever will” and the Luke passage concerns 70 AD (i.e. “trampled under foot by the Gentiles until the times of the Gentiles are fulfilled”). The passages look mostly the same but there are key differences. This is good. And you’re right. Well, sir, funny thing is I did do the significant research and set up the interpretational framework, researching into history and religions (it helps living near a world-class university library). I’m the kind of person who enjoys reading history or political philosophy like others might read fiction. I did this so that one can read the prophecies of Daniel 7 and 8 and Revelation 6, 12 and 17, with a true and sobering light of history seeking out this interpretation of prophecy. Stumbling upon this result, I felt a moral imperative to share this with the church. Though it is a rather scholarly work (I’ve been told), I wrote it at a high school level so that anyone should be able to read it. And I included the references so that the serious student can read further and check it out for themselves. I take the reader from point to point in scripture and in history with detail, and consider what I hope to be the relevant arguments. I highly recommend and urge you to read the book. I believe it might make you re-think things. As recently as ten years ago I believed much the same way you do now. The proof of the message is before our eyes. Watch events in the top echelon of the Iranian government. That is next (see “Possible Prediction” post). And the governments of Turkey, Syria and Egypt must become Islamist to prepare for the Third Signpost. P.s. Feel free to email me. I did state “I could be wrong about your view”, but the reason I thought you might be Pre-Trib are because of the following statements, which sound a lot like what I usually see Pre-Trib believers writing. Taken together these lead me to believe that you are Pre-Trib. By your own admission you’re declining to state whether you are or are not, so at least I accurately detected from your limited HIPS synopsis that you are not committed to a Post-Trib paradigm. I think Pre-Trib is a major error in the modern Western church. Hippolytus may have believed this, but I doubt he was the first. That would have been roughly 400 years after AE and although I haven’t done any research on it, I would imagine you would find some Jewish Rabbinical sources that would see AE as fulfilling Dan 8 and at least the beginning of Ch 11. You have me on the history of who first believed this, however, I don’t think the fact that he was still looking at the Roman Empire precludes his interpretation from being true. My opinion is that the “time of the end” does not always and only refer to the end of this age (as Pre-Mills we believe there will be another age, what about the end of that age? ); the change from old covenant to new was major; it brought in the AOD with the rejection of Messiah, which Daniel refers to several times. Hopefully I will resume later, but that’s my response to the first part of yours. Its late and I’ve got to get up early tomorrow. I’m sure you do have some good insights in HIPS, but I have limited funds to indulge on buying and reading the latest interesting book; I don’t mean to disparage (completely) your premise without even reading any of it. Maybe I will find that I need to speak up and say something on the topic but for now I feel I must remain silent. Post-Trib folk should not have a problem with the book, or HIPS, beyond the usual shock at finding events prior to the Tribulation. Most of the stonewalling I have received is from the Pre-Trib folk. But this message is meant for them too. These signposts will occur before any Rapture or Tribulation. Ask just about any Pre-Trib “authority” – they will tell you the Rapture occurs immediately before the Tribulation. Without putting aside your belief in a post-Trib Rapture, try to see from my perspective why I need to stay silent. The Rapture is a hot topic. On the topic of Hippolytus, I don’t know if he was the first to talk about Daniel 7 and 8. My own search turned up Hippolytus and then Irenaeus talking about it first, but Irenaeus just repeated what Hippolytus said. I believe they were the first Christians to talk about it. Thanks for the EJ Young reference on Daniel 8:17, 19. I am going to have to disagree with Young. Daniel 8:17, 19 both say “the time of the end.” To clarify what that time is, check out the last verse in Daniel, 12:13, where God tells Daniel “go your way till the end.” And then God says Daniel will receive his inheritance att he end of days. Yes I know there is still another 1,000 year reign (I am pre-millenial too) but the end is when each one of His receive our inheritance. So Daniel 8 pertains to these end times. And remember, Young was speaking from the status quo, trying to answer these two verses with the popular line that Daniel 8 has an ancient fulfillment. On your last part of your comment, at least time-wise out of the 12 chapters of HIPS you can skip the first three chapters, since those chapters build a case for why the Antichrist comes from Islam and will by of Syrian descent. I would like to congratulate for an excellent book you put out. Read it about 3 months ago. Very good insights. Glad to know that you are interacting now thorough your blog. Little over a year ago, I had a massive paradigm change regarding biblical eschatology. I have come to the understanding that that Islam is the very end time ideology and religion of the coming Antichrist that the Bible has predicted and that his kingdom will be predominately comprised of the middle-eastern and Muslim nations. Joel’s and Walid’s books have helped me, and mostly my own study of Bible prophecy and of Islam, come to this conclusion. As I have studied the book of Daniel, I have received some insights and revelations from the Hoy Spirit regarding the end-time prominence of the visions and dreams detailed in the book of Daniel. Before reading your book, for instance, it seemed reasonable to me that Dan 7 had an end-time application, that each beast resembled modern day nation. 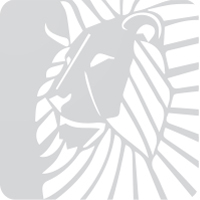 In particular, I also have come to the conclusion that the lion is symbolic for the modern day nation of Iraq, and Saddam Hussein was the “king” represented by this kingdom. Do you know he was called and called himself the “Lion of Bagdad”? Your book really helped me to understand the end-time unfolding of events that will culminate of the rise of the Antichrist. I may have some conclusions different from yours regarding some specific issues, but nevertheless, I also believe the book of Daniel lays out some very important events that will helps us signal the coming tribulation and rise of the Antichrist, and mostly the coming of our Lord and Savior, Jesus Christ. I would like to interact with you and others through the comments of your posts to this blog. What about v 11? 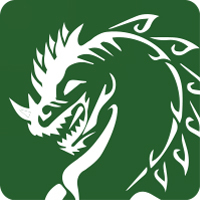 If all four beasts are “contemporaries”, why is it that the 4th is destroyed but the first 3 are permitted to live for an appointed period of time after the fourth is gone? The answer is that the 3 first beasts, the nations of Babylon, Med-Per and Greece will continue on as nations into the Millennium, while the fourth beast, Islam will be “annihilated and destroyed forever” (v26). The three other beasts are living even now; they have continued to live ever since Daniel’s time in lesser or greater prominence on the world scene. In Ch 8 we are given the key to 3 of the 4 beasts listed in Chs 2 & 7, which are those I’ve named and almost universally agreed to by the church. The fourth is debatable, but I’ve thrown my chips in with Richardson and others. OK, I would have read your book to find out why you think this, but to me there is no obvious correspondence, other than they are four in number and are end times related. I think you would be better served to point out to readers that the four beasts of Daniel are antithetical to the four living creatures of the Heavenly throne described in Rev 6:1. Thanks for the encouraging words on the book. Joel Richardson helped me too – it was his work, and interacting with him on his blog that helped me see the Islamic Antichrist. That was the trigger for my researching history and prophecy and writing Hidden In Plain Sight. I had forgotten about that name for Saddam. He also called himself the great Arab savior. I have noticed that in each of these signposts there is or will be a great leader. These leaders may be thought of by people as the Antichrist but they will turn out not to be – not Saddam in the First Signpost, not the leader of Iran in the Second nor the leader of Turkey in the Third. Thanks you for your kind words. And yes I look forward to dialogue with you in the future. Yes, the beast called Islam is destroyed at the Lord’s coming. That is how that verse would be interpreted. And the other three beasts, or kingdoms or realms, representing Babylon/Iraq, Persia/Iran, etc would go on existing in to the millenium. Good so far. The Daniel 7 kingdoms are end time, but the kingdoms of Daniel 2 are historic. The kingdoms are the same regions and political entities if you will, but different versions in time. Remember, the statue vision in Daniel 2 was a description of history from Daniel’s time when Babylon was an empire, all the way down to the toes which are the ten nations existing within Islam at the time of the return of Christ, and who rule with the Antichrist. But the Daniel 7 kingdoms are shown to be the end time versions in verses 12-13. The legs of the statue are the Islamic realm from 630 AD to the time of the “toe” kings and the end times. The fourth beast in Daniel 7 is Islam at the time of the end. Yes there is an order of appearance in Daniel 7 and there is in Daniel 2, but we must pay careful attention to the language. There is an order of appearance and looking at things in both visions that can be historic or that are contemporaries of each other too. 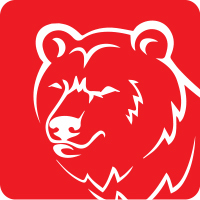 In Daniel 7:5 the word okh-or-awn’ (Strong’s 321) is used to describe another beast, a bear. 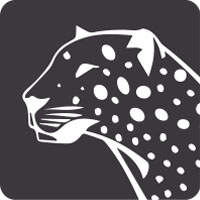 And again in Daniel 7:6, a leopard. And again in Daniel 7:24, when another horn appears, which is a contemporary of the ten horns. So the word “another” is used for contemporaries. That word “another” is used the same way in that vision several times and refers to simply that, “another” thing to watch in this vision that takes place in the end times. However, in Daniel 2, the Persian kingdom of silver is said to be “after” (oth-ar’, Strongs 870) Nebuchadnezzar in Daniel 2:39. You can have “another” of something so you have two of something (as in Daniel 7), or you can have another of something following something else (as in Daniel 2). Daniel 7:11-12 shows all four beasts to be contemporaries of each other and of Christ at His Return. Daniel 2 though is shown as a history only – from Daniel’s time to the end time. You mention the creatures in heaven in Revelation. I do mention this in the book just in passing. I do find it interesting (maybe just coincidental but who knows) that four creatures with animal characteristics call out four horsemen that match events represented by four beasts in Daniel 7. I did not use this comparison to put emphasis on the horsemen though. What got my attention on the horsemen was their authority over one quarter of the earth, and their colors. As far as Matthew, Mark, and Luke, we will have to disagree for now. I do believe the passages you pointed out in Matthew and Mark are end time and the one in Luke is 70 AD. I do realize too though that these passages are actually irrelevant to the material in my book. You brought these passages up originally in an earlier post to substantiate a position you held about the Tribulation. On further discussion between you and I, you may very well show me to be wrong, but as I said for the Four Signposts, these passages in the Gospels are not needed. The reason is that the Signposts describe events prior to the final seven years. And yes this discussion of these passages in the Gospels can be quite complex on their own. If you want to discuss these passages offline go ahead and email me. The content of the message in the book takes the reader, I believe to many places that most of us haven’t thought of or have had the time to research. Included in the book, besides the significance of the colors and “quarter of the earth” regarding the horsemen, are additional details on all these topics. Has anyone wondered why Iran is a bear and why Iraq is a lion and the four-headed beast is a leopard? Anyone wondered that if Daniel 7 is an end time fulfillment then besides Islam what is the identity of the other six heads and why? Why does the ram in Daniel 8 charge in a great “rage” which actually is the word related to “bitterness”, like Esau had towards Jacob? It goes beyond “rage.” Why does the Bible mention a bow on the first horseman but doesn’t mention arrows? So many things clicked into place while doing the research, I must confess it amazed me. When I learned that the Antichrist is Muslim it was such a huge paradigm shift I wondered if the rest of prophecy didn’t change also? And what changed was Daniel 7, 8 and Revelation 6. I had to go verse by verse, with a detailed study of history to illuminate the passages. It took history to understand why the Antuchrist was Muslim in the first place. It also took history to understand Daniel. This message is a huge paradign shift – the idea that nothing more must happen until the Tribulation is replaced by a whole sereis of events happening one after the other to tell us that Christ is coming and what season we are in? This is amazing to me. I suspect it would be to you and others. I appreciate that you’ve gone into that much detail in understanding these passages, agreeably this is important and necessary, however, the different adjectives notwithstanding I still disagree with your conclusion that these are describing different kings/kingdoms. There are other differences too such as parts of a statue vs. animal-beasts, but that doesn’t prevent you from equating something even more different, horseman riding colored horses in another book, by another author, under a different covenant… To get into more specifics you will either have to email me a copy or make available an online PDF of book; I’m not going to be able to buy it. MD: As far as Matthew, Mark, and Luke, we will have to disagree for now. I do believe the passages you pointed out in Matthew and Mark are end time and the one in Luke is 70 AD. I do realize too though that these passages are actually irrelevant to the material in my book…. 1260 years later (per Rev 12:6, “days”) the Woman (Israel) is allowed to return to her land: 688 + 1260 = 1948, the year of Israel’s founding. 42 months later (per Rev 11:2, avg. month = 365.25/12 = 30.44 days/month x 42 months = 1278.5 “days”, or years) the holy city (Jerusalem) is no longer tread under foot by the Gentiles: 688.5 + 1278.5 = 1967, the year Israel regained Jerusalem. There is no Seven Year Tribulation; we are in the” tribulation”, or perhaps even the tribulation has ended and we are in “the time of the end”, i.e., Yeshua’s return is very near and we are just waiting for the last dominoes to fall. So you can see why I disagree with one of the major premises of your book. MD: If you want to discuss these passages offline go ahead and email me. We are all learning and unlocking what God wants to reveal to us through scripture, and so I think we will all get further if we discuss these things in the open. Plus its more fun! MD: When I learned that the Antichrist is Muslim it was such a huge paradigm shift I wondered if the rest of prophecy didn’t change also? I’ve gone through quite a few myself, but I think you need to evolve your thinking even further, and involves the key synoptic end times passages. One of the mistakes many make is to view OT prophetic fulfillment quite naturally through a continuous fulfillment or historicism lens, but then switch to an entirely futurist lens when looking at NT end times prophecy. Why would God do prophecy one way in the OT but wait 1900 + years (and counting) before NT prophecy begins to be fulfilled? It is my contention that He doesn’t, hasn’t and that we have missed much fulfillment of both Jesus’ prophecies and perhaps most of the seals and trumpets in Revelation. I think we are on the cusp of the 6th seal and are hearing the 6th trumpet blowing… the seventh being the “Last Trumpet”. One aside: Being a “continuous fulfillment historicist” does not require that we view the Papacy and Rome as THE Antichrist, as most of the Reformers did. Nor does it mean that there are not yet future prophetic fulfillments to come, nor does it preclude an actual Millennium with Yeshua present in the flesh on Earth. MD: This message is a huge paradign shift – the idea that nothing more must happen until the Tribulation is replaced by a whole sereis of events happening one after the other to tell us that Christ is coming and what season we are in? This is actually pretty much what I believe, except I throw out the notion that we are waiting for “the tribulation,” although there will certainly be a “Jacob’s Trouble” and an increase of horrific events leading up to Yeshua’s arrival. What I came to understand about the dreams and visions recorded in the book of Daniel (Dan 2, 7, 8 & 11) is that there is a dual fulfillment of prophecy, as related to kingdoms, kings, actions, events and wars. The first, a partial historical fulfillment, and the second, a complete or substantial eschatological fulfillment. I have many reasons why I believe that. The historical fulfillment and identifications helps us to understand and correctly identify modern and end-time kingdoms, kings, actions, events and wars. For instance, in Dan 7, the four beasts (lion, bear, leopard and terrible beast), historical identifications as Babylonian Empire, Medo-Persian Empire, Macedonian-Greece Empire and Islamic Empire (or Caliphate) helps us to identify the modern and end-time nations, such as Iraq, Iran, Turkey and Antichrist’s Islamic Caliphate, respectively. The very details of each animal help us make these identifications. You have made the same identification. It really is not that difficult. The three first animals, lion, bear and leopard, as represented by the historical empires Babylon, Medo-Presia and Greece, have a general geographic area from where the kingdom rose to be a big empire. Babylon rose from Mesopotamia, modern day Iraq. Media and Persia rose from north-western mountains the Iranian plateau and south-western bordering gulf of Persia (Elam and Persepolis), modern day Iran. Greece originated from the western coastlands of Anatolia (Asia Minor), land called Ionia, modern day Turkey. 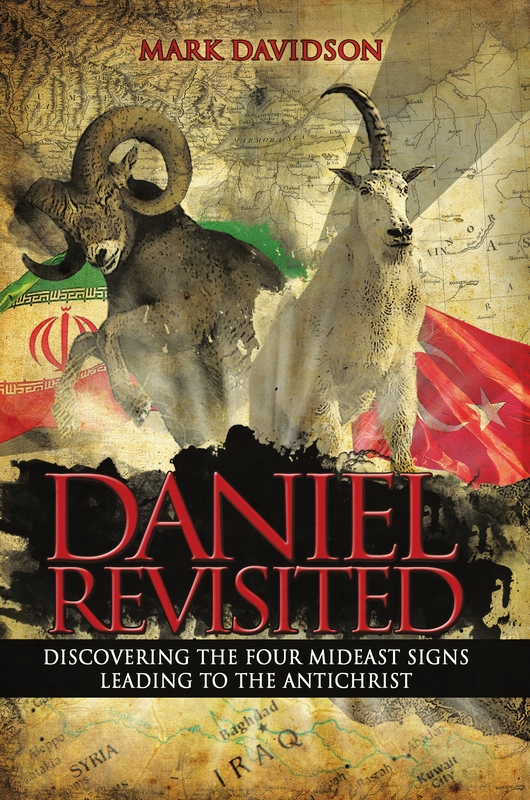 As you have also identified, I also believe that Daniel 8 has an end-time fulfillment, related to the modern day nations of Iran and Turkey, represented by the ram and a male goat, respectively. There will be a great clash between both. I haven’t seen much in your book regarding Daniel 11. I believe there also is a dual fulfillment related to kingdoms, kings, actions, events and wars. Yes, I do believe the historical fulfillment with Persia and Greece with Alexander, The Great, his death and the brake up of his kingdom in to the Diadochi, first in to four kingdoms after many years of wars, then into mainly two battling kingdoms, Ptolemaic and Seleucid. From this warfare between the both kings (north and south) rises a vile person (Antiochus Epiphanes) which performs abdominal acts is the Jewish temple. Yes, I believe that Daniel 11 has very predicted many details of what happened in history. However, I also believe there is an eschatological fulfillment of the whole prophecy of Daniel 11. I would place Dan 11:3-4 as parallel to Dan 8:8, and then the story takes on detailing the events of two kings, the south and the north, until, until the vile person (Antichrist) rises to power (Dan 11:21) and performs the abomination of desolation (Dan 11:31) as mentioned By Jesus in Matt 24:15. I would like to know what are your thoughts regarding Daniel 11. Does anyone have any news of Iranian statements regarding the latest developments in Syria? Yes all the figures in prophecy can sem like a jumble. But in each passage there are keys that tel us what is going on. The statue is historical, from Daniel’s time to the end time. Daniel 7 and 8 and Revelation 6 are all end time, all being facets of the same set of events. Why is this strange? Micah talked about the virgin, Isaiah about being a Nazarene, regarding the same person, Jesus Christ. Amos prophecies the fall of the Jewish kingdom in ancient times and yet Zechariah prophecies the millenium. So the prophecies can be any jumble and in any order. Since the First Signpost has ended and the Second is only getting started, as far as seals go, that translates into first seal broken, and second not broken yet. So that disagrees with your position of being around the sixth seal right now. Again we will have to disagree on the Tribulation. I hold at least at this time to the 7-year period prior to Christ’s return where the Antichrist reigns supreme. My book speaks of the events leading up to the Tribulation, and so that is why I said earlier the Tribualtion is somewhat unrelated here. I can see ancient events as being a possible foreshadowing of fulfillments of Daniel 7 and 8, but these “fulfillments” really aren’t fulfillments because they are imperfect. For instance I explain why the lion with wings and the goat running off the ground have imperfect ancient fulfillment (Chapters 6 and 7 of HIPS). So they are foreshadows. Keep in mind too that Turkey with three other modern nations will attack Iran. Turkey will be the dominant nation, but as I make a case in the book, I believe Egypt and Syria will be involved as well. Regarding Daniel 11, and I confess this is a bit embarassing, I saw on Joel’s site where he said my book talks alot about Daniel 11, but I don’t really. You are right that you haven’t seen much of Daniel 11 in my book. Daniel 7 and 8 is the main message. I only use Daniel 11 as filling out some details. You mention again the ancient fulfillment of Daniel 8. In my book I discuss this. The conclusion I have reached is that ancient events were all imperfect and therefore cannot be fulfillments. For instance, when Alexander’s empire broke up, it broke up into about 20 various regions between the commanders initially, then became 5, and then 4. But Daniel says it broke up into 4, period, and only 4 that grew to the four directions. What we will see – I believe – at the end of the Third Signpost is that the huge new nation that is created that stretches from Istanbul and Cairo to eastern Iran will break up into exactly – and only – 4 nations. And the four will be situated in the 4 compass directions from Susa. The 4 eventual nations of alexander’s empire were not in the compass directions from susa (2 in the west, none in the east, from susa’s perspective). Anyway, this is an example of foreshadow vs. fulfillment. The book has many more examples both in Chapters 5-7 but also in the signposts themselves (Chapters 9-12). On the contrary, examine in detail the prophecies of the first coming of Christ. Everything was fulfilled in great detail (Psalm 22 is almost scary detailed). Why not expect the same thing for this time around? Regarding Daniel 11, it seems to me that it tracks the battles between ancient Ptolemaic Egypt and Seleucid Syria, and then at one point it says “the time of the end.” And from that point on it is speaking of the Antichrist conquering the three pieces of the four new nations in the end times. Its as if there is a spiritual war (speculation on my part) going on for all of time, but represented by the physical armies of the region. And the armies take a break between 100 bc and sometime after right now. But Daniel 11 is written as one narrative starting in ancient times and ending in end times. I also didnt feel comfortable writing too much about it because where Daniel 7 ans 8 became clear to me, Daniel 11 is not as clear to me. Iran states that if Assad is attacked or falls that Iran will bring war to the region and beyond. Could this be the trigger that starts the Iranian invasion? The Bible prophecies do not say what is the trigger to start the war. 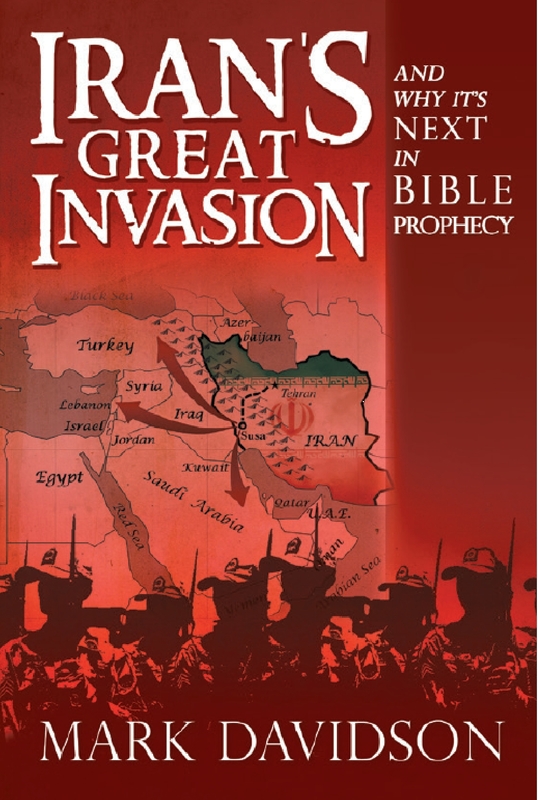 The Bible doesn’t say how Iran will do the invasion. Will nukes be involved? Again the Bible does not say. It simply says Iran will invade, and following a shuffle of power in the Iranian government. But yes, we can watch the news for signs of a possible start of this war, and something like this could be the excuse Iran uses. Also, as soon as I can get to it, I will be adding links to news sites for just this very reason. I know that the historical fulfillments or ancient foreshadowings, as you prefer, of some details related to the kingdoms, peoples and events are not perfect. I agree on that. That’s why I believe that there is a partial fulfillment, leaving some details not fulfilled, or at least not perfectly as required by the text. You have mentioned some, like the horn broken off the goat that gives room for four other horns. I agree, the aftermath of Alexander’s death historically was of great conflict between his generals. They tried to divide his kingdom among themselves; there were some settlements, which of course were much more than 4 divided parts. Eventually, after some 20 or 30 years of conflict and wars, Alexander’s kingdom was divided into 5 (including Antigonus), then 4. I see this historical account being a partial fulfillment of Dan 8:8, 21-22 and Dan 11:3-4. However, I believe that these same verses refer to and will be fulfilled in fullness in the events that will unfold in the near future, as you also believe. The main reason that I believe we are not to dismiss and disregarded that prophecy of Dan 7 and 8 was partially fulfilled with commonly known historical events is the fact that the book was written mainly for the people of God to expect to coming of the Messiah and the Kingdom of God. The main theme or objective of the dreams and visions recorded in the book of Daniel (Dan 2, 7, 8, 9, 11-12) is to give assurance to God’s people of the coming of the Messiah and the establishment of His kingdom and their ruling position in this Kingdom (Dan 2:34-35, 44-45; Dan 7:13-14, 18, 22, 27; Dan 9:24, Dan 12:2-3). This is the center of dreams and visions. But, in order for this to happen, much trouble should come to the earth and to God’s people. The dreams and visions also give information to God’s people about gentile powers that would arise, together with very specific details of events and wars, in order to understand the seasons and the times of the coming of the Messiah and His Kingdom. These prophecies served the Jewish community for four or five centuries (from 500 BC tom the time of Jesus) as signposts as you will for the coming of the Messiah. They should have understood the prophecies, looked what was happening among the gentile nations and be assured that the time is near (the time of the coming of the Messiah). Likewise, our generation should be understanding the times and the seasons we live in in accordance to the Bible predictions and also await and expect the nearness of the (second) coming of the Messiah (Jesus/Yeshua). So, Bible prophecy requires the same response to those living in the time of the end (our generation) as to the generation of the years preceding the (first) coming of the Messiah (Jesus). These two generations are awaiting the coming of the Messiah. That generation (s) were expecting the coming of the Messiah, and our generation, we are expecting the second coming of the same Messiah, or as we usually say, the return of Jesus. That means that the generations before the first coming of Jesus should have understood those prophecies in the book of Daniel and see their fulfillments in the events being unfolded in their days in gentile nations as well as in Israel, and according to the flow and sequence of these events, anticipate and await the coming of the Messiah and His Kingdom (the restoration of the kingdom of Israel and all what is applied in God’s promises for Israel). That’s the main reason why, I believe that we should look at the prophecies in Daniel and understand that many where fulfilled in history (previously to the Jesus incarnation), even though some are not as perfect or missing fulfillment of specific details. My reasoning is based on how would the immediate readers of Daniel would interpret in context to their own generation and how we should interpret as readers of Daniel in context to our own generation. Good point. I can appreciate what you are saying regarding these prophecies being there to give hope for God’s people over the centuries, and requiring a consistent response from His people. The reason I call the ancient events foreshadows (here in the present day) is because they have given us clues as to the actual event that gives 100% fulfillment of the prophecy. Even though Nebuchadnezzar, Alexander, and the Persian Empire were not fulfillments, as foreshadows they are needed to help us figure it out; to point us in generally the right direction. As far as partial versus full fulfillments, I do believe certain prophecies in the Bible can be up for 2 or 3 fulfillments. While others cannot be, like Psalm 22. At least, I cant think of anything else but Christ’s crucifixion being the fulfillment of that passage. Yes, you’re right, ancient events, such as sequential rise of empires, or as related to wars and kings, either Alexander, the Great or Antiochus Epiphanes, should give us understanding of what future events (as related to end-times), kingdoms and kings are going to look like. Whatever we may call them, if partial fulfillments or foreshadows, the fact is that they will serve us as patterns to what expect in the near future. Your position, and mine as well, is unique; very few people do actually believe that the complete dream and/or visions detailed in Daniel 7 and 8 (I would add Dan 11) was end times application of fulfillments. Well, many do believe eschatological application regarding the little horn, the forth beast and the Anticristic elements to the prophecy. But very few do believe in, or are not even aware of the events that proceed the coming of the Antichrist in its context. In Daniel 7, the context for the rise of the little horn (Antichrist) are four kingdoms (or nations) which each have specific roles to play in the end-time scenario. In Dan 8, the context of the rise of the little horn (Antichrist) is a war waged by and among two nations, one from the eastern border of the middle-eastern region and the other form the western border of the middle-eastern region. These two nations will wage war or conquer or impose themselves on other nations and also among each other. Could I suggest to you to consider the whole chapter of Daniel 11 as having and end-time application of fulfillment as well as the historical (with ancient Persia Empire and Grecian or Hellenistic empire)? Try to read the whole chapter 11 of Daniel as a story, for a moment, take of the historical lens off and also the eschatological ones, and just read it as a simple story. For instance, the story begins with an angel telling Daniel that three more kings will arise in Persia and the forth will be the most rich and will oppose Greece. Then, a mighty king shall arise and do as he wills. Stop. With the historical lens on we automatically see this as the four Persian kings that followed Cyrus (Cambyses, Smerdis, Darius and Xerxes). Then appears Alexander, the Great as the mighty king. Right? Yes, well kind of. Yes, there is an historical fulfillment or a foreshadowing of Daniel 11:2-3. But history shows that there were many more kings in Persia by the time of the rise of Alexander, at least eight or nine more kings of Persia after those until Alexander’s conquer of the Persian Empire. To, the verses of Daniel 11:2-3 seem to have an incomplete historical fulfillment. Scholars try to explain this by various ways. But I am convinced there is more than what meets the eye. Our problem is that we always have history glasses on when we read Daniel 11. It quite simple. The text says that three more kings shall arise in Persia and fourth one will come that will be richer than the previous ones. Then, comes the mighty king that will do as he wants and, suddenly, he is broken off and his kingdom divided into the four winds of heaven (four cardinal points). To understand this, we have to understand the end-time fulfillment of the whole vision of Dan 7 and 8, then we will see this as a retelling and continuation (verses 5 and onwards) of the same story. The four kings are four kings of modern day Iran. The problem is, when is the initial reference point to then say four more kings shall arise? I would say it’s the rise of the Islamic Republic of Iran, which happened in the Islamic Iranian revolution in 1979. This information is very close linked to the other features of the lopsided bear in Dan 7 and the two horn ram in Dan 8. Even the year coincides with the same year as the rise of the lion (Iraq). So, the four kings of Daniel 11:2 would be the supreme leaders of Iran (Ayatollah Khomeini, Ayatollah Khamenei and two other ones that will follow). Today, we are in the second king of Persia. We are to expect two more Supreme Leaders of Iran to come. The forth will be the richest of them all and will be one of the horns of the vision of the two horned ram in Dan 8. The forth Persian king (fourth Grand Ayatollah, or Supreme Leader of Iran), will be the one that will charge out north, west and south. Suddenly, a mighty king from the ancient Grecian realm (Turkey) will destroy the ram and break the two horns of the ram. Then something will happen and this mighty king will be broken off, and his kingdom be divided into four parts (Dan 8:8, 22 and Dan 11:4). The story takes on in Daniel 11:5. Verses from Dan 11:5-20 is the in-between story of verses 8 and 9 of Daniel 8, as well as verses 22 and 23 of Daniel 8. Hope you could understand what I’m trying to lay-out. 4) The beginning of chapter 10 speaks of a “great war” but as you follow chapter 11 it is many battles over many years – we are talking about an ongoing war between two entities, that spills over from the ancient to the end time in verse 40. Daniel chapter 11 is strange enough I will not make any conclusions. This is why I didn’t deal with it much. I believe it doesn’t flow with Daniel 7 and 8 for the most part. Daniel 7 and 8 however are visions that stand on their own in each of their chapters and are interpreted the way they are in my book because of their own text. I would encourage you though to develop your ideas on Daniel 11. On the other hand, if the events in Daniel 8 play out here and now very soon the idea of Daniel 11 being fulfilled wholly in the end time is ended because there will be no more Iranian supreme leaders when the goat finishes its run. This is a couple of years later, but I have only been reading these exchanges now. 1. The kingdoms described by the statue of King Nebuchadnezzar’s dream, for which God gave Daniel the interpretation, are still around today, each unsuccessfully seeking its former glory, apart from the fourth, which is the final wild beast. They will all come to an end at the coming again of the Lord Jesus Christ in great power and glory: He is the Stone that strikes the image, becoming a great mountain and filling the whole Earth. Jesus comes back and knocks this statue and those who embody it out from under its feet! The Millennial Kingdom of Messiah brings in the everlasting Kingdom of God to His entire creation, never again to be given over to another. Even with death and a final rebellion as part of this final 1000-year Sabbath day of this creation, yet YHVH God visibly and personally reigns as God of gods, King of kings, and Lord of lords from the time of His ‘revelation’. We already look ahead by faith beyond the Millennial to that which is perfect to come, where righteousness dwells. 2. An interesting note regarding Persia/Iran, which we learn from the Scroll of Esther: the law of the Persians, if written in the king’s name and sealed with his ring, can not be revoked. (Est 8:8). King Ahasuerus, therefore, could only tell Queen Esther and her Jewish uncle Mordechai to write another decree, which he would sign and seal, that the Jewish people throughout the kingdom could defend themselves against the evil decree which Haman schemed. BOTH decrees are still ‘on the books’! What is also amazing is that the two supreme spiritual leaders of Iran since the Islamic Revolution there are Khomeini and Khameni: both names simply variations of Haman the Agagite, the Amalekite, the Edomite, whose undying murderous grudge against his brother Jacob is still raging! Praise God, that HIS laws and decrees and promises can not be revoked! And His trump them all, even should we die. No weapon formed against Israel (God’s chosen people and first-born son among the nations) will succeed; the gates of Hades/Sheol will not prevail against the Church (the Bride and Body of Christ). Forgot to mention that I have ordered your book, and look forward to reading it. Thanks, and blessings for the upcoming prophecy conference, which I hope will bring some clarity on issues that may still be a bit ‘like trees walking’. Mark, I am reading Daniel Revisited now (through Part 2). It is obviously very stimulating and brings things out, which Jesus Himself exhorted those who heard Him when He spoke of things to come before He would restore the Kingdom of God back to Israel. 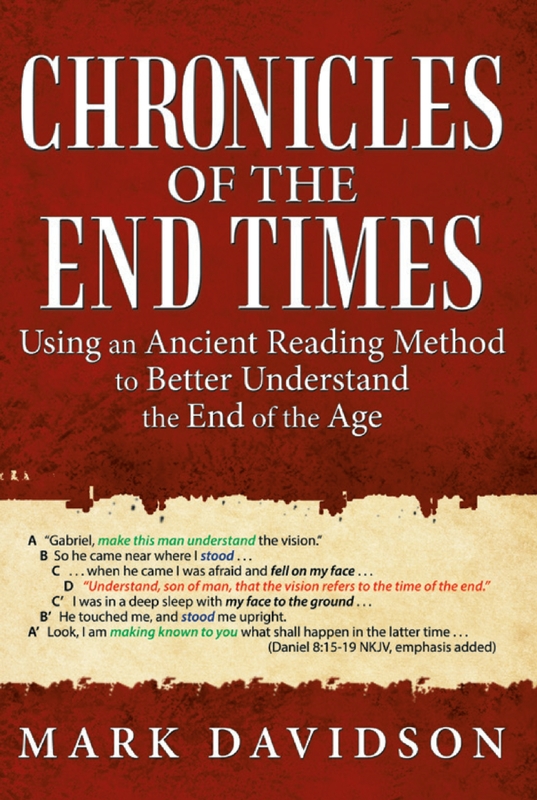 In Mt 24:15, when referring to the abomination which brings desolation, as written in three different chapters of Daniel, Jesus wants the readers to understand that He is not speaking of past history, but of future history in the end times of the last days. This is so regarding the statue of Nebuchadnezzer’s dream: it is standing till this day, and will not be broken up until the Stone from Heaven comes to knock it down from under it’s feet, and the whole of all the Gentile kingdoms of this world comes crashing down. Each of the four kingdoms represented are, in these last days leading up to the revelation of the Antichrist and the subsequent return of the Lord in great power and glory, seeking to re-establish their former prominence and glory. So, as you are showing, and perhaps rightly, Babylon (Iraq), under Saddam Hussein, was first, and he even boasted that he would rebuild the great city! Next in order are the Medes and Persians, now Iran. And then Greece (Turkey), followed by the Islamic Caliphate (a “borderless” kingdom). God bless you as the Holy Spirit continues to give you an understanding, and to make the vision clear. Some things can be known; other things will ‘have to wait’, as God does in His wisdom what He alone can. Satan, nor man, will be privy to that which is only in the Father’s knowledge. The LORD of Hosts is an 8-star General! Thanks for sharing your observation on that topic. I, too, thought of Daniel 7’s fulfillment in the end-time as a repeat of history over the ages, but you rightfully added Cain, Noah, Lot, etc. Nelson also wrote about some of these things on his site. It is amazing to me how many different facets there are to this whole end-time prophetic picture. Many thanks for a great prophetic book, so clearly written to enable the layman to grasp the essential concepts. I find that the Middle East centric model as expounded by you, Richardson and Walid Shoebat ( as opposed to the Rome centric traditional interpretation) seems to be increasingly plausible as shown in recent events. For me, the interesting thing is that Turkey etc, who seem a relatively insignificant economic power ( despite having the largest standing army in NATO) could definitely see a rise to power should they/others be able to control the majority of the Middle East oil. The economic knock on effect with all the major powers linked via trade (look at how the tsunami in Fucushima disrupted many associated industries in other countries who couldn’t get vital parts) and the choke hold on oils supplies could cause another dollar meltdown which would, financially cripple many nations as a consequence. Armed with sophisticated weapons such as The Iron Dome system funded by their new found wealth and Russian ? supplies means that they could thwart any foreign power attempt to stop them. Ottoman Turkey believes that IT is the rightful Caliphate . There is no doubt in my mind that so many ‘double games’ are in play, the West being duped by belief in the half truths that are given, Isis and others being paid and supplied to do a lot of various parties’ ‘dirty work’. Subterfuge is the name of the Middle East game. Things could escalate so fast that within even a few years we could see the sweeping changes that your book lays out.